Doctson best quality is when the ball is in the air, he is coming down with it. He is a tall, skinnier wide receiver who does a great job adjusting to the ball. Over the middle of the field he has very strong hands and is willing to take the hit. There was a question about his speed, however a 4.5 forty and a great combine calmed down those concerns. With route running, he shows a good ability to get in and out of breaks to get separation. He is pretty shifty with the ball and has good quickness for his size. A concern is he isn’t the most physical wide receiver, but he has good enough strength to hold up at the next level. 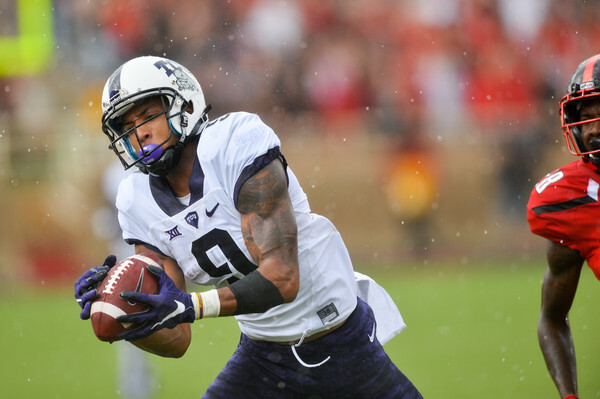 Doctson is a potential number one wide receiver at the next level.